What caused the earth's continents to be separated by water? Did plate tectonics cause them to be unreachable through dry land? What clues exist in the Bible to tell us how long the major landmasses were connected and when the continents took on their current distinct shapes? The Bible indicates that for a short period after the flood the earth's continents were all reachable by land. In Genesis, we find a fascinating statement regarding this connection and when it was likely lost. The Bible states, "And Eber begat two sons. The name of the one was Peleg (born 101 years after the flood), for in his days the EARTH WAS DIVIDED . . ." (Genesis 10:25, HBFV). This clue reveals that, prior to Peleg, the earth's major landmasses were not separate (unreachable by land) but rather the continents could be traversed one to another. Where did people live after the flood? What is the future of man? Could life be on other planets? 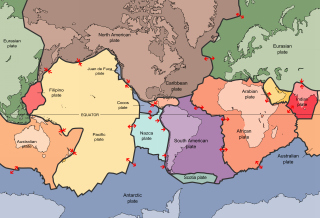 Some believe that the division or separation of continents, during the days of Peleg, was caused by plate tectonics. This supposition, however, is incorrect. If massive plate movements during the time of Babel or Peleg had divided the land, it would have caused a catastrophic rearrangement of the earth. Such an event would have been almost certainly recorded in various historical accounts. The connection of the continents by land allowed animals to move into areas that were later separated by water. For example, animals and people moved into Australia, Micronesia, Polynesia and other places such as North and South America via the land bridge that once connected present day Russia and Alaska. We find an additional clue to what type of separation Genesis is discussing in the meaning of Peleg's name! His name means "division" in Hebrew (Brown-Driver-Briggs dictionary). The root word of his name, however, can mean a river or stream (Strong's Concordance), or a canal or channel. It also means relating to, or living or occurring in the open sea, or something that is oceanic. We often speak of pelagic birds, which means marine or ocean birds. In other places in Scripture the word "peleg" means division by water (see Job 38:25). The Genesis flood led to a great deal of ice forming that locked up massive amounts of water in the earth's Polar Regions. As the earth warmed up after the flood and the polar ice melted, it would have caused a corresponding rise in the level of the earth's oceans. As the ocean levels rose, the rising waters would have separated various large landmasses such as continents. This earth-wide event involving continents would have separated, for example, Western Asia (Russia) from Alaska by submerging the Bering land bridge. Other areas separated would have included Australia, New Zealand, and Southern Asia. If the waters had raised slightly more, the Isthmus of Panama would be underwater today, which would have separated North and South America continents. God caused the floodwaters to go down so that Noah and his family could leave the ark and repopulate the planet (Genesis 9:1). He knew, however, that the massive amounts of ice caused by the flood would soon melt. This melting ice ultimately would lead to rising water levels around the world. The rising levels would lead to the easy to traverse (for animals and humans) land bridges between continents to be covered with water. God told Noah and his family he wanted them to fill the entire earth (Genesis 9:1, 7). This filling of the globe could more quickly occur when, as the human population rapidly grew, many travelled to other continents via dry land before these connections were gone. God did not intend for mankind, so soon after the flood, to concentrate his population in a few choice areas. Yet, what we find not long after the flood is mankind concentrating his population in the land of Shinar so that he could build a high tower (see Genesis 11). Why build such a tower? The reasoning man used, according to the Bible, is "let us build us a city and a tower . . .and let us establish a name for ourselves, lest we be scattered upon the face of the whole earth" (Genesis 11:4). Such an act was in clear defiance to God and his will that humans travel to other continents and populate all the earth. God's solution to man's rebelliousness was to force him to speedily migrate to other continents before rising waters made them separate and travel to them incredibly harder. God "confounded" or spun off man's one language into many so that people could not communicate with one another. They soon stopped building their tower. They were left with no other option except to scatter (Genesis 11:9) as they were originally commanded. The Greatest Events in the Bible! How many died in Noah's flood?